Advanced blend of whey protein concentrate and milk ultra and micro-filtered whey protein isolate. Bet on the quality! 209 loyalty points Your cart will total 209 points that can be converted into a voucher of 8,36 PLN. Advanced blend of ultra and micro whey protein concentrate, milk protein concentrate and micro and ultra whey protein isolate! Amazing taste and exemplary solubility every serving! 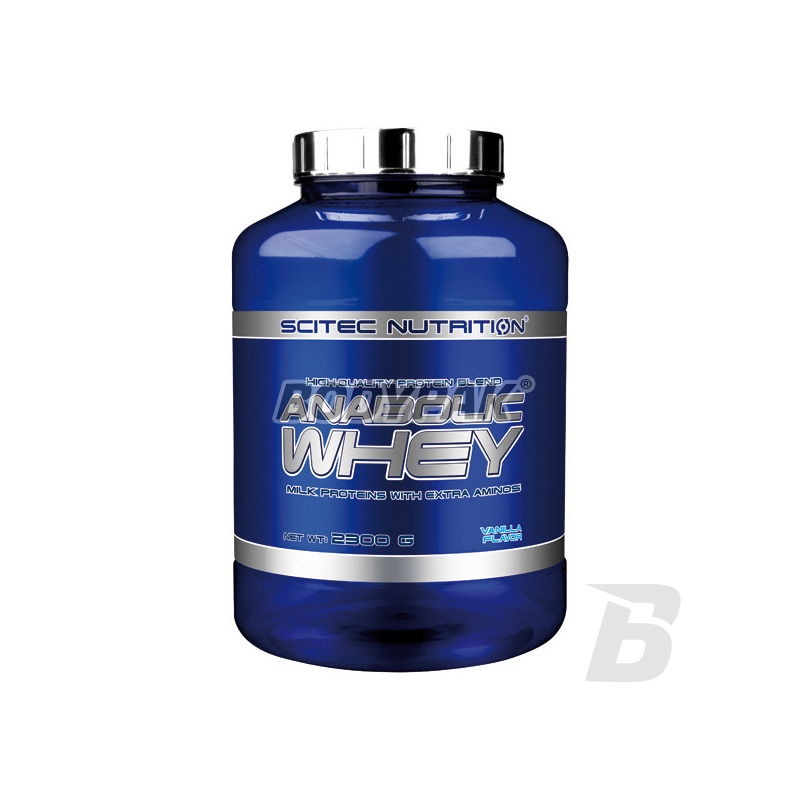 Scitec Anabolic Whey is a specially designed blend of ultrafiltered whey protein concentrate and milk protein isolate (containing fractions were lactoglobulin, lactoferrin, lactalbumin, and immunoglobulins), and complete milk protein. Milk proteins - especially whey protein - are the most common sources of protein among bodybuilders. Moreover, they are the best quality protein sources. Determination of the extent to which a particular protein source is used by our bodies is usually based on an estimate of the amount of nitrogen derived from the protein source, which is used by the body in the anabolic and anti-catabolic processes. The net protein utilization (Net Protein Utilisation, NPU) determines how much of the nitrogen derived from ingested protein is retained in the body, a biological value (Biological Value, BV) determines how much of the absorbed nitrogen is retained in the body. Whey protein is characterized by the ease of digestion and a good amino acid profile, so that the value area, compared with other protein sources (eg. Meat, fish, egg or soy), is very high. "Anabolism" is a term used to define the physiological metabolic processes leading to the formation of something in the body. Protein derived from the diet is the source of nitrogen, essential amino acids, which are used in the growth and tissue repair. Therefore Anabolic Whey contributes to the growth and maintenance of muscle mass, and to maintain normal bones *. The milk proteins are referred to as complete proteins because they provide the body with all he needs amino acids, 9 amino acids (histidine, isoleucine, leucine, lysine, methionine, phenylalanine, threonine, tryptophan, and valine), which the body can not synthesize itself. 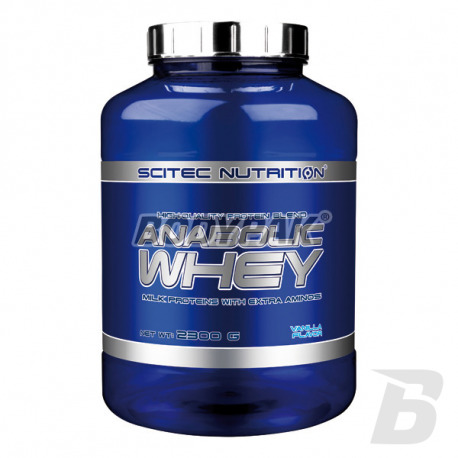 Scitec Anabolic Whey is a source of calcium. Calcium contributes to a normal muscle function, neurotransmission, and normal metabolism, beyond contributing to the maintenance of normal bone *. Wysoka jakość, świetne w smaku!